Although the initial response has been positive, this user found the app still needed work to provide a seamless and simple process for downloading apps, finding boarding passes, and fitting on the iPhone 5’s larger screen. 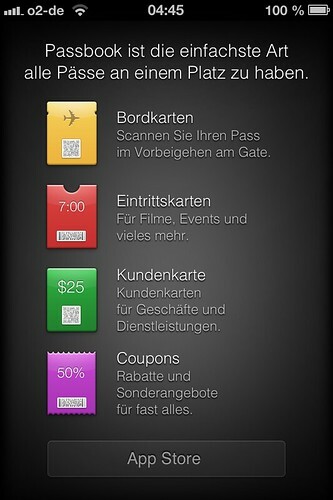 Burning question I have to ask: what is up with Apple’s Passbook app? Since its unveiling at WWDC, it was one of the things I looked forward to most in iOS 6. As a frequent traveler and someone who detests printing things out, I love the idea of storing digital tickets, boarding passes and rewards cards in one place on my phone. But after using it for the first time Sunday, I’m left feeling mostly perplexed and a little let down. The app works well for scanning bar codes, but seems clumsy for other functions. Photo by Domenic K.
To be clear, using the app for what it’s advertised for — scanning barcodes — works as intended. But getting to that point was more complex than expected. Setting up Passbook involves many more steps than you would think.